Goethals Bridge – New York – 220+ Channel Bridge Monitoring. 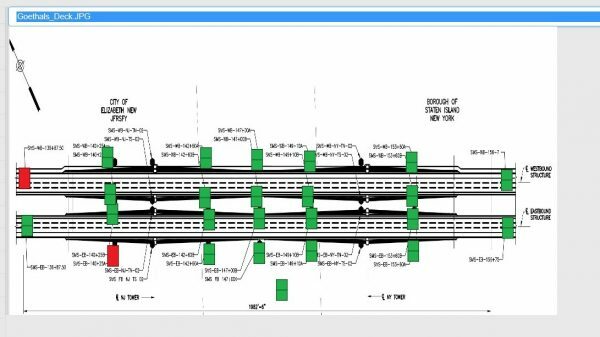 Civionic Engineering & Consulting (2014) Inc. Canada, has been contracted by Kapsch TrafficCom North America to integrate a 220+ channel structural health monitoring system which will be installed at the Goethals Bridge in New York at the end of 2016/beginning of 2017. The Goethals Bridge is a cable stay bridge, supporting 3 lanes in each direction. Vibration and tilt monitoring equipment is connected to a networked sensor system which also measures displacement with Laser based optical systems at the expansion joints. Weather data is also incorporated in the unified data visualization interface. The bridge is owned by the Port Authority of New York and New Jersey and will be operated by nynjlink for 35 years. Civionic Engineering had to combine sensors from Sensr, Dimetix and dataloggers from Campbell Scientific into one common custom designed graphical, web-based user interface for data visualization and reporting. Our data interface system designed for this project is based on our web-based data visualization software “Integra” which allows a flexible and dynamic integration of all kind of data sources into one single hub. 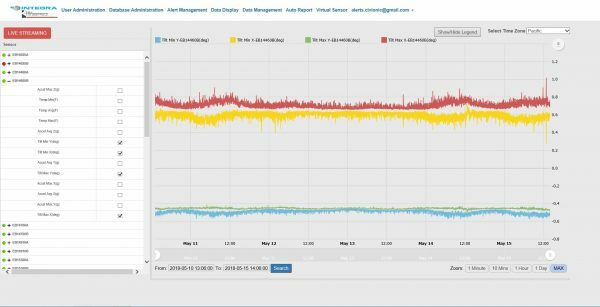 Integra allows a quick and simple visualization of complex sensor data. Color coded indicators provide the operator a constant feedback about the structural condition of the bridge. 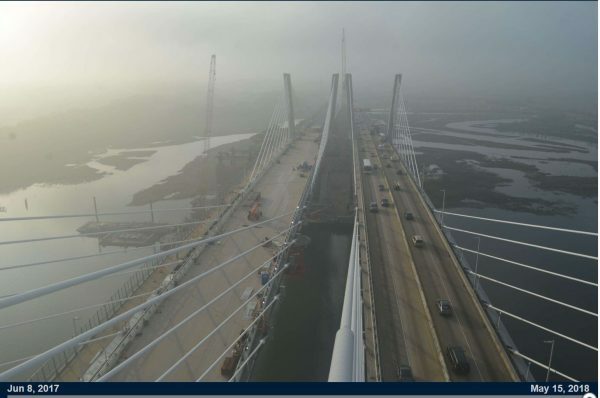 Alerts are send automatically by email or SMS if conditions of the bridge changes. Integra is capable in integrating thousands of channels into a simple and understandable interface. All sensors were operational in May 2018.